When I was a kid, my family would go to visit my grandparents in Orissa during summer school holidays. It was a long train ride from Bombay to Bhubaneshwar – it took about 2.5 days by Minar Express. It was the most exciting thing in my young life, something to look forward to every summer. I loved Cuttack back then. Grandparents, aunts, uncles and best of all cousins. Traveling through India in a train is one of the most soul nourishing experiences that I am glad I haven’t missed out on. We travelled through the Ghats, down through Andhra Pradesh and up to Orissa. We passed through towns whose names we couldn’t really pronounce but tried anyway and made friends along the way with fellow travelers. We ate railway curries with pickles for dinner and snuck out to sit by the doors when our parents weren’t watching. The train coaches in India have doors that can slide open. I loved sitting at the door with my legs hanging out, while the train rushed through long bridges, while hanging on to something solid .The only fear I felt while my legs dangled off the train was the fear of being caught by one of my parents and getting in serious trouble! One of the best parts of the journey from Bombay to Cuttack was the 2 hour stopover in Hyderabad. Long stop overs were always fun because the vendors would come into the train selling local delights – chai, bhajias, the best darned bread omelets in the world, just about everything. My sister and I always stayed back in the train compartment with my mom while my dad ventured out to replenish our water and food supplies. It was gross injustice back then! The Hyderabad stopover was special though. 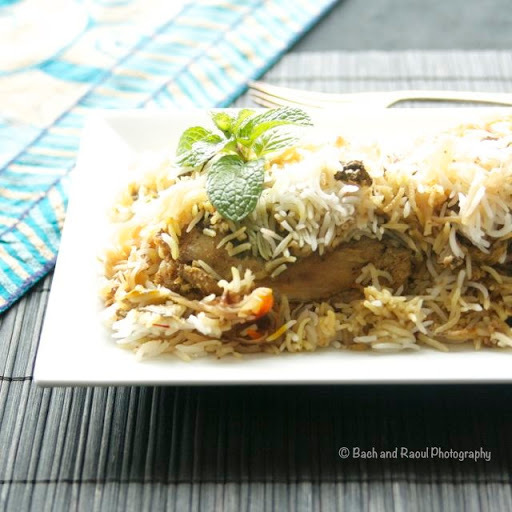 Hyderabad is well known for its Biryani. The second the train stopped at Secunderabad station, my dad would rush off to get biryani (from somewhere, I never figured out where!) but it always took him what felt like ages to get back. It was quite nerve wracking because I always felt like he was going to miss the train. But he always got back in time with the worlds best ever biryani. It was our little tradition. The Biryani recipe that I am sharing with you today is nowhere near as good as the one I had on Minar Express while it pulled away from Hyderabad. 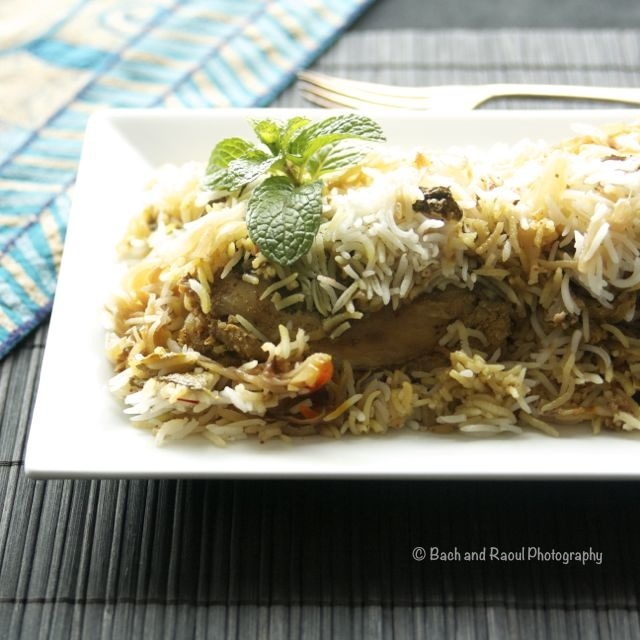 It is not even the second best biryani in the world after the Hyderabadi one, that’s my dad’s Sunday special biryani. But I like it enough to make it all the time – the third best in the world – if I may say so myself. 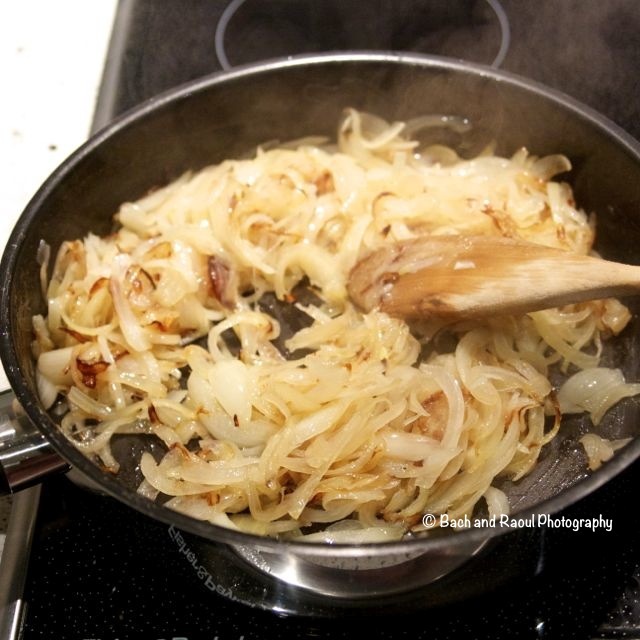 Slice the onions and sauté them in 2 tablespoons of hot oil till they start to caramelize. Take care not to burn them, but you do want to cook it to golden brown. Set aside and cool. 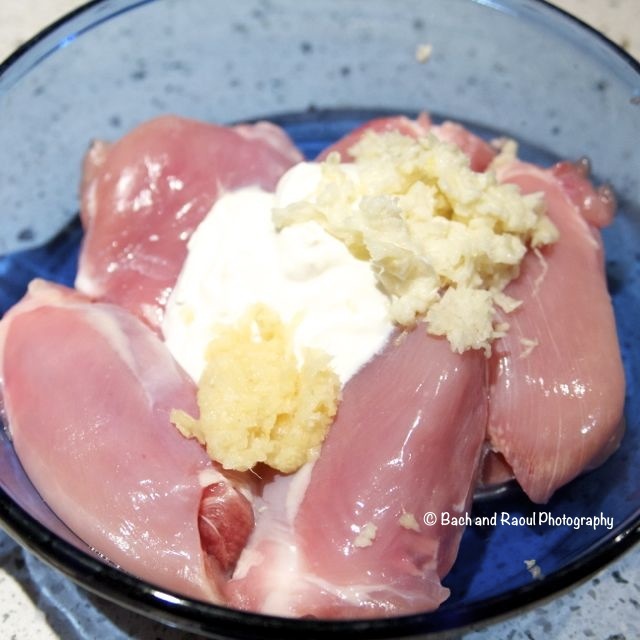 In a bowl, add chicken thighs (cleaned and fat removed), add the yogurt, ginger and garlic pastes. 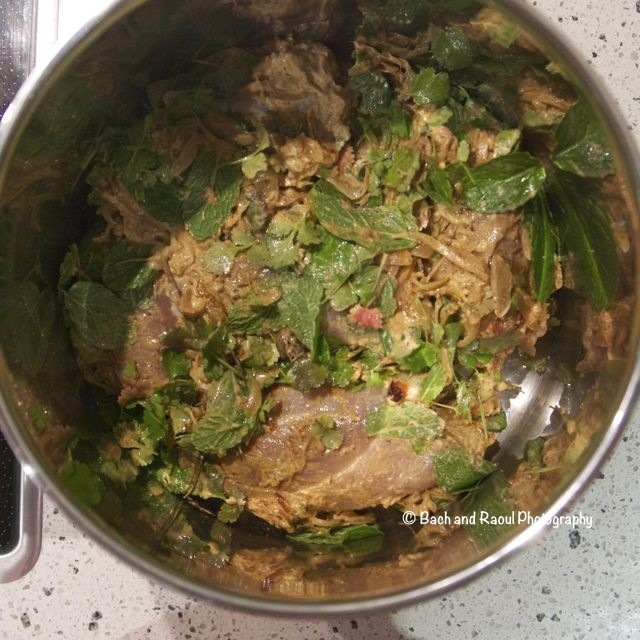 Set aside 2 green cardamoms, 2 cloves, small bit of cinnamon, half a teaspoon cumin, small blade of mace. You will use these whole spices later. No add all the rest of the spices in with the chicken. 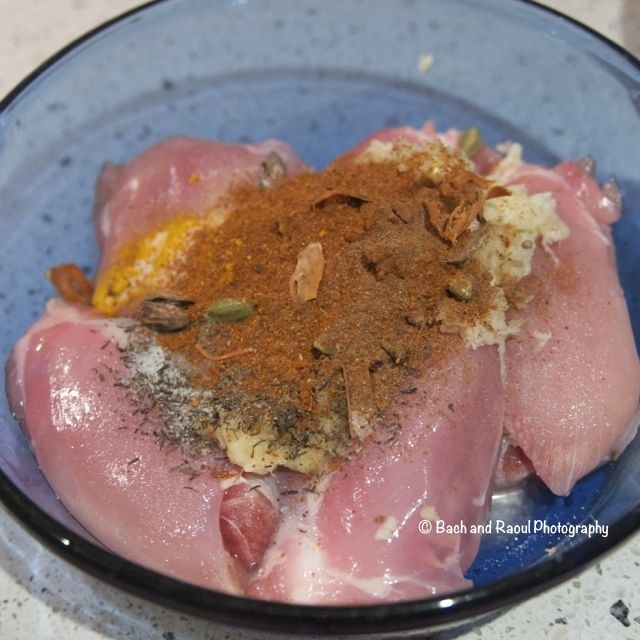 Add the ground spices - garam masala, turmeric, red chili powder and nutmeg. Season with salt. 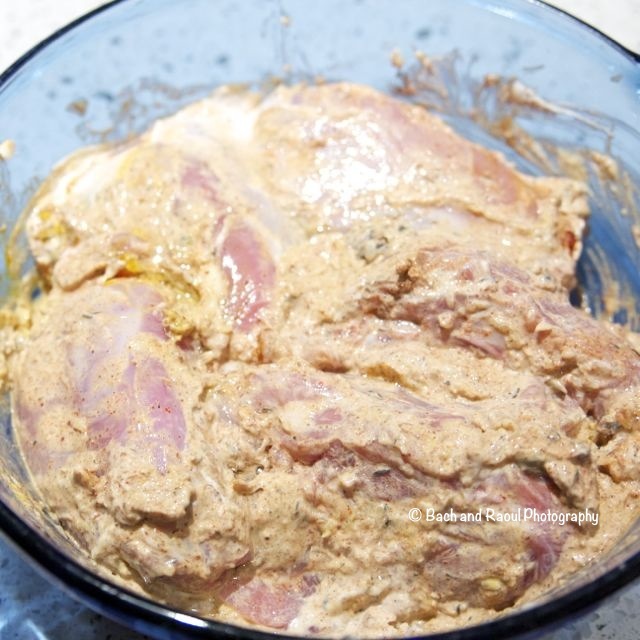 Combine the chicken with the spicy marinade. 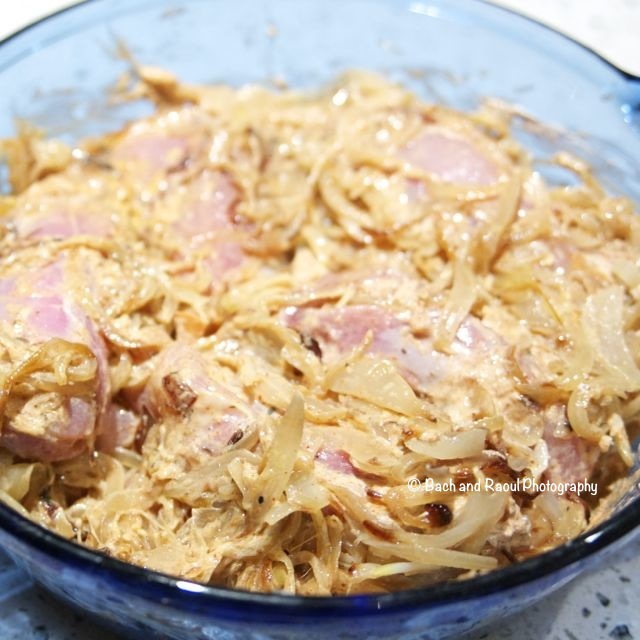 Add all but half cup of fried onions into the marinade. You will use the rest of the onions later. Save a few leaves of mint, add the rest of the mint and all of the cilantro in the marinade. 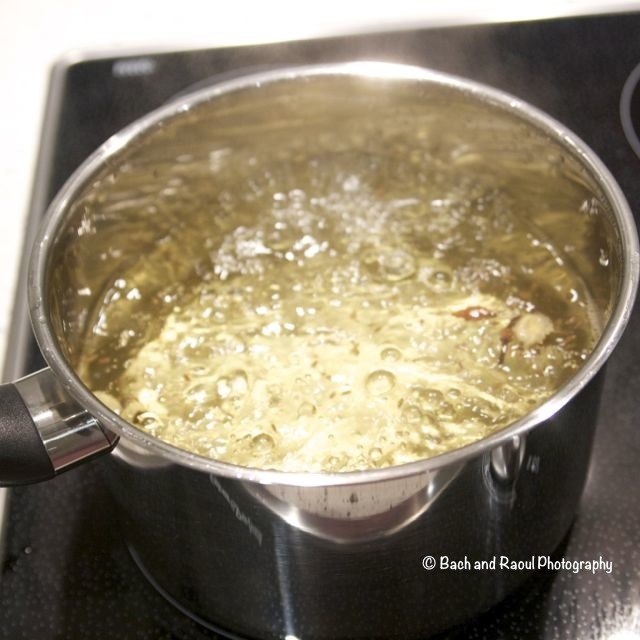 Add the remaining oil in. Combine it all and marinate in the refrigerator overnight. 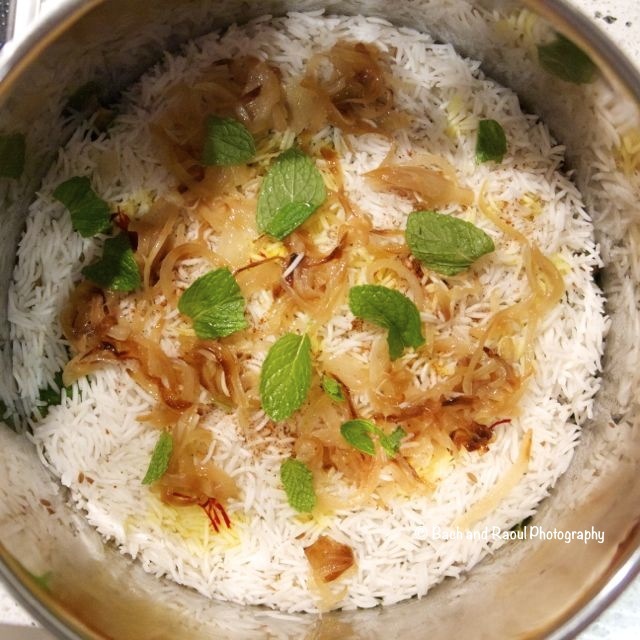 When you're ready to cook the biryani the next day, prepare the rice first. 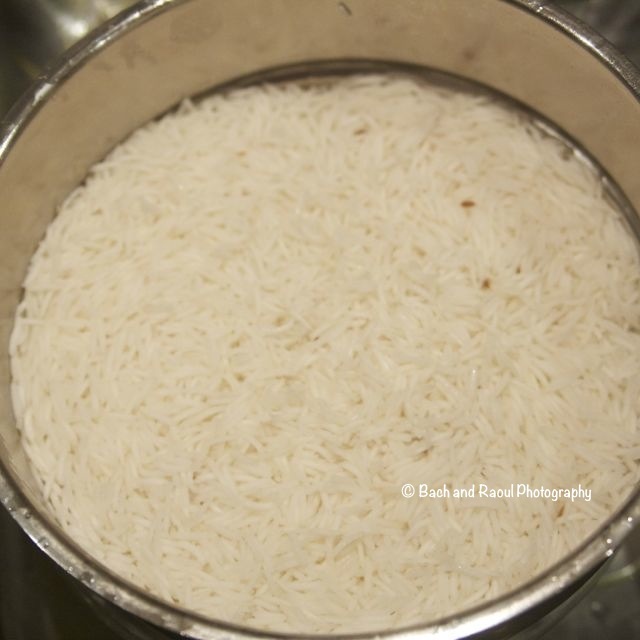 Wash and soak the rice in plenty of water for at least half an hour. Add plenty of water in a pot, salt it and add the remaining cumin seeds. In a tea infuser, add the rest of the spices that you set aside. Add this to the pot and bring to a rolling boil. 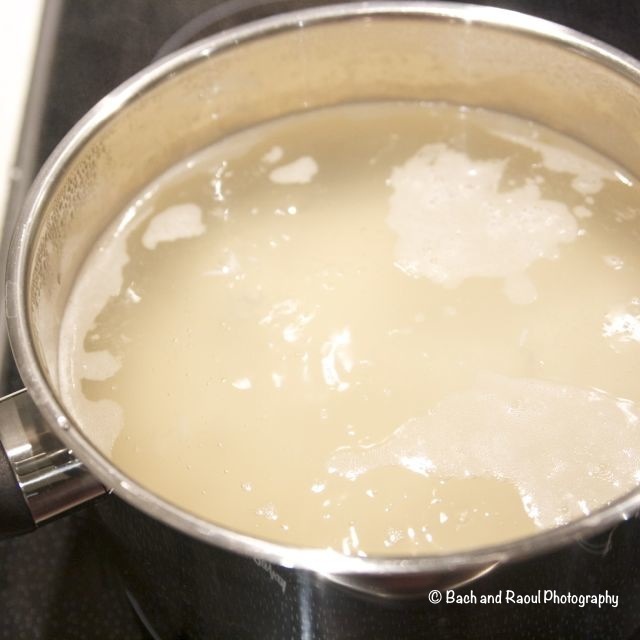 Strain the soaking rice and add it to the boiling water. You don't want to cook the rice too long. 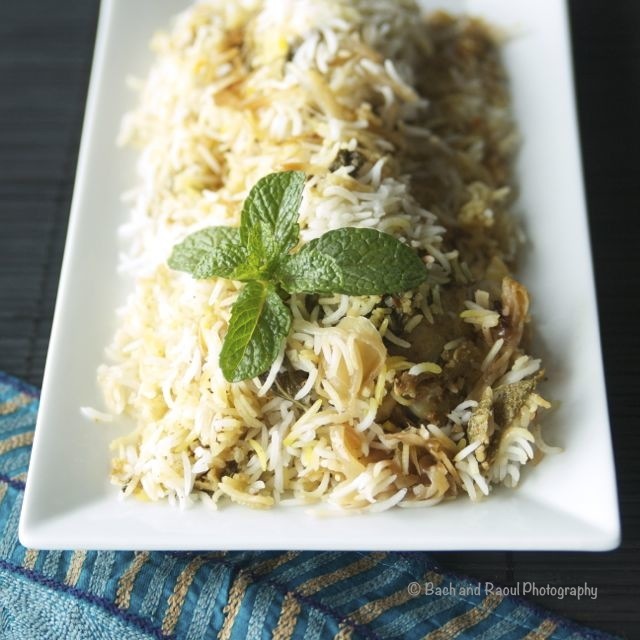 It will finish cooking with the biryani. Cook it only for 3-4 minutes in the boiling water. The rice should be half cooked. Strain and discard the whole spices in the tea infuser. Run cold water through the rice and strain. 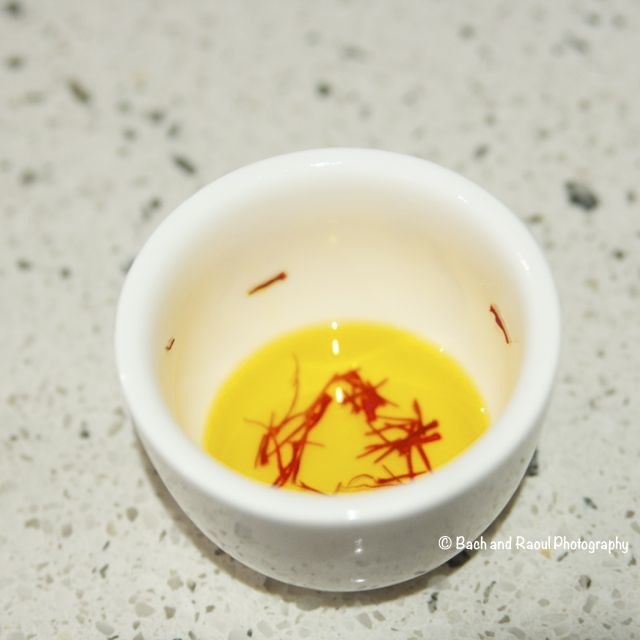 Soak saffron strands in couple of tablespoons of hot water. Now we assemble! 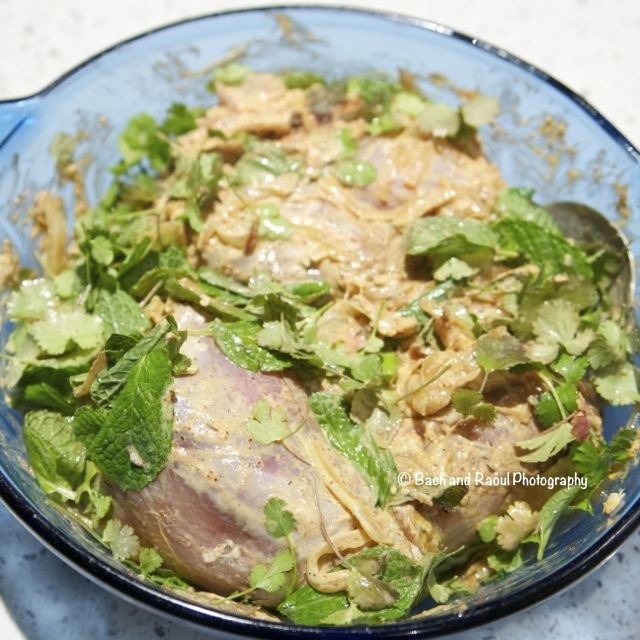 In a large heavy bottomed pot, add the marinated chicken in one even layer at the bottom. Layer half of the rice on top of the chicken and spread evenly. 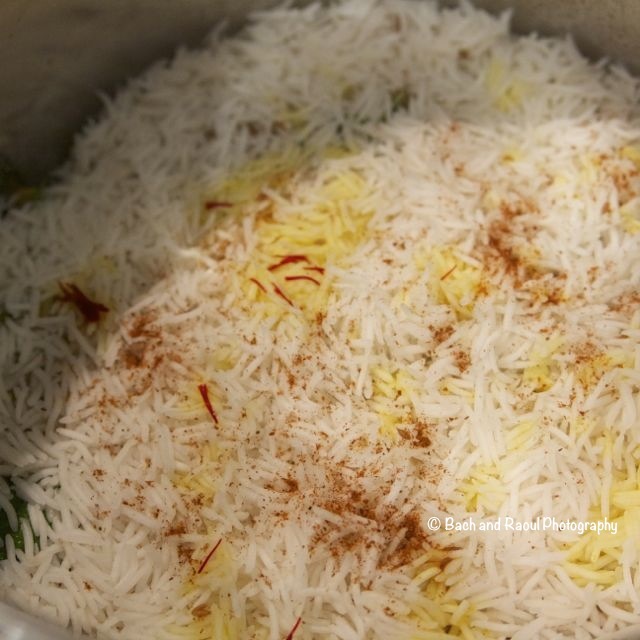 Sprinkle half of the saffron water along with the strands. Dust some garam masala powder. 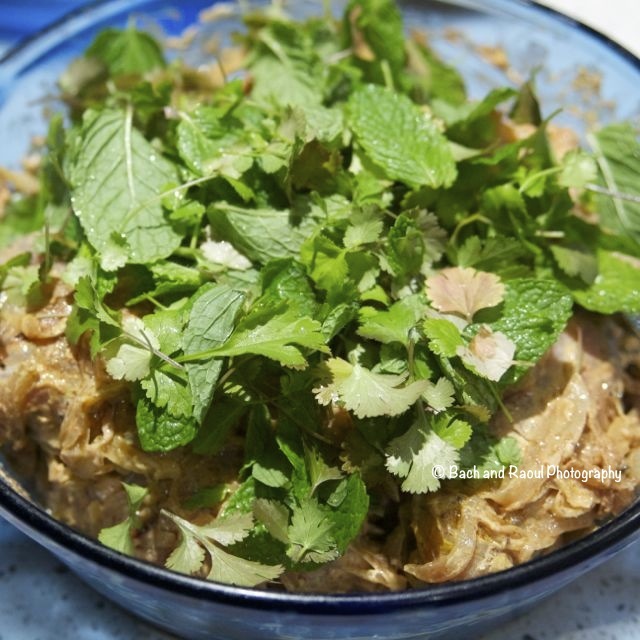 Add the remaining fried onions and mint leaves. 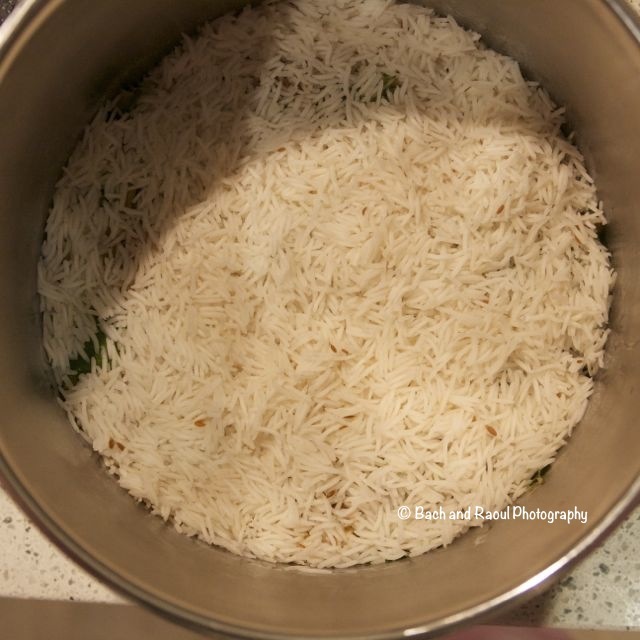 Now cover with the rest of the rice. 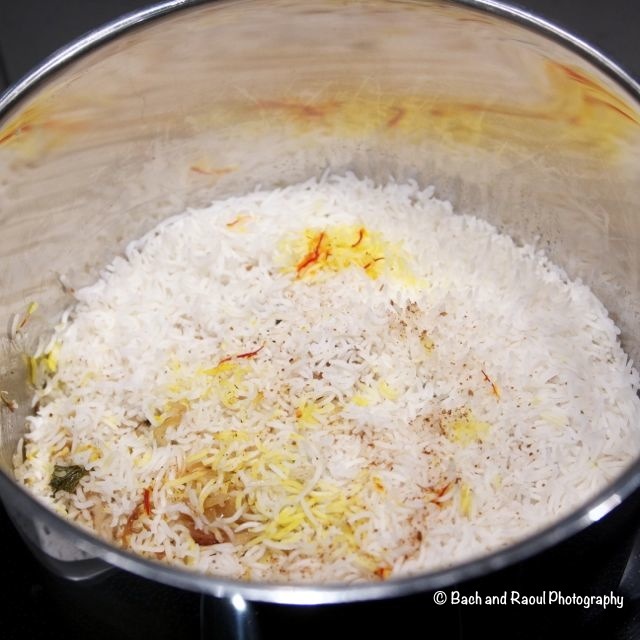 Sprinkle remaining saffron water and dust a little more garam masala powder right at the end. Cover the pot. 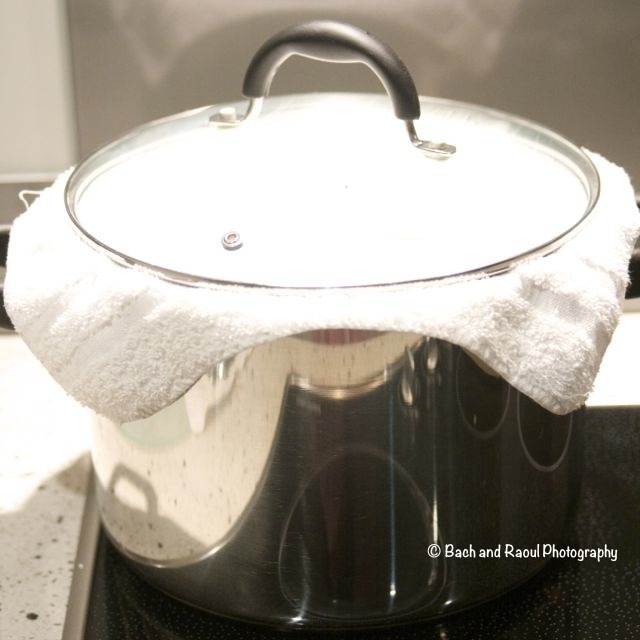 Add a tea towel to seal the lid if it isn't air tight. Cook on medium low heat for 45 - 50 minutes. 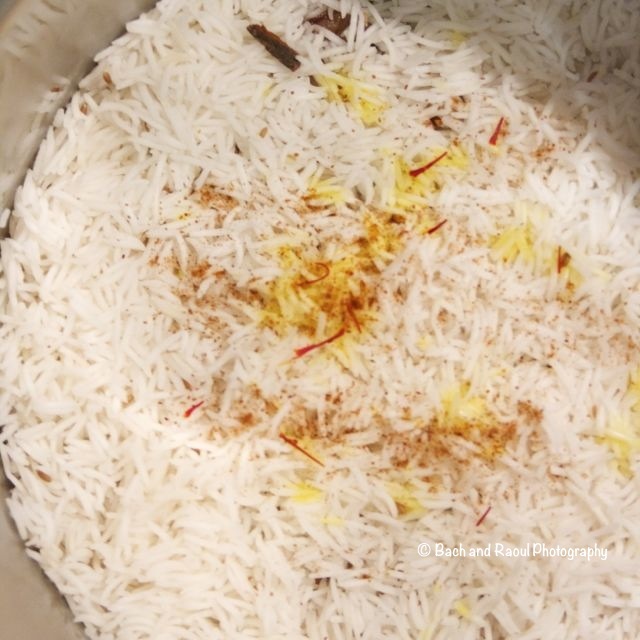 Biryani is ready! 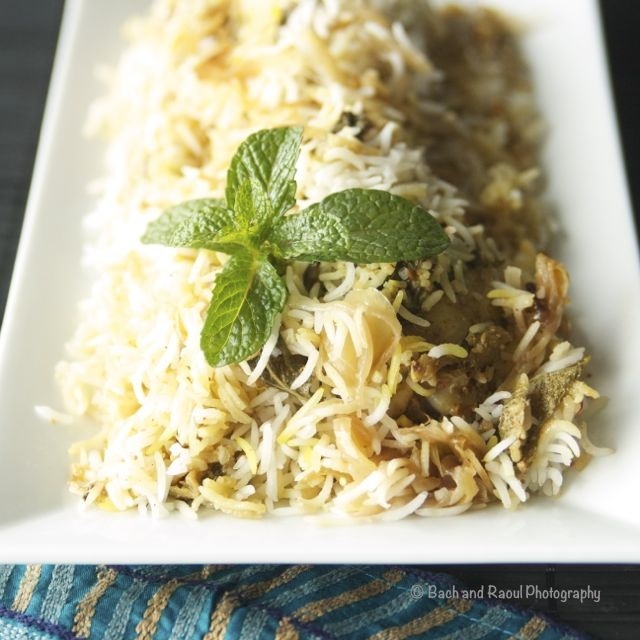 Biryani tastes better the second day but I will understand if you don't want to wait that long! 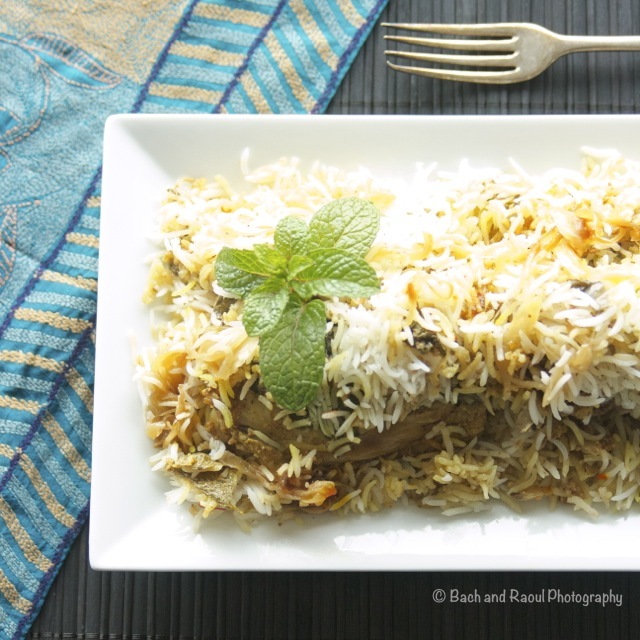 Biryani sure takes me to a happy place too! So worth it, Savita! Thanks for stopping by! Oh my gosh this looks amazing! And I love your blog story too, what a great memory! 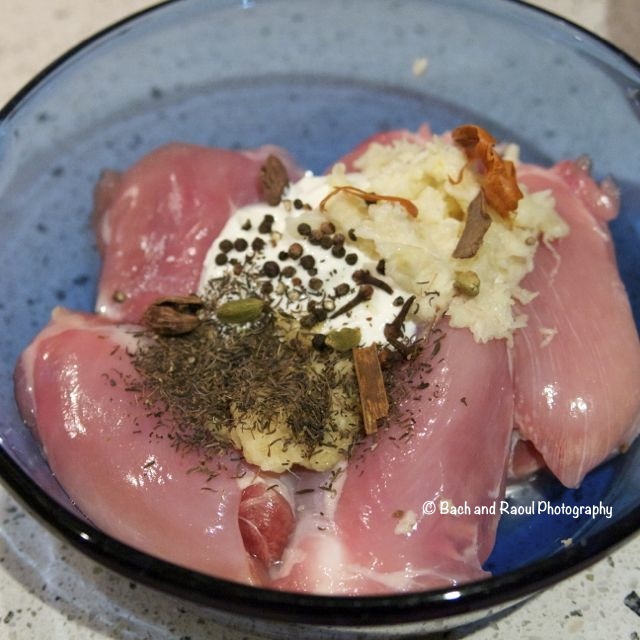 I definnitely want to give this yummy recipe a try! Deb from #TryaBiteTuesday!